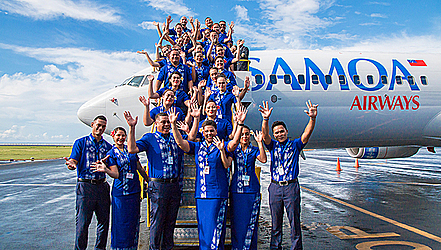 The launch of Samoa Airways is an important milestone for Samoa. That’s what Prime Minister Tuilaepa Sa’ilele Malielegaoi said yesterday evening when the airline was officially launched at Faleolo International Airport. Despite the rain, the occasion was well attended. 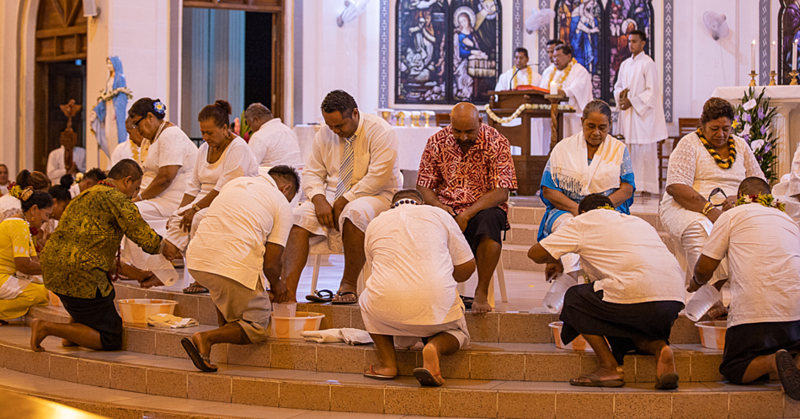 The Head of State, His Highness Tuimaleali’ifano Vaaletoa Sualauvi II and the Masiofo, Her Highness Fa’amausili Leinafo, joined government officials, stakeholders and members of the business community. Tuilaepa highlighted the importance of Samoa determining her own destiny as far as air travel was concerned. “In hindsight we should never have entered into a joint venture in the first place,” the Prime Minister reflected on the past. “Twice we did it with Ansett and later with Virgin – both Australian airlines - and the results were disappointing." Tuilaepa believes no one else will look after Samoa’s needs better than Samoans. “If we do not do it now it will never be done,” he said. 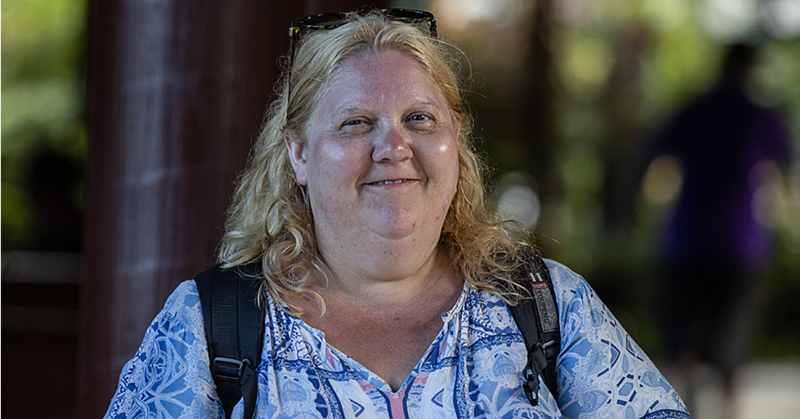 “You look around our region from Solomon islands to Vanuatu, Kiribati, Tahiti to Fiji – our neighbours have their own national airlines and they have maintained their airlines successfully and comfortably." The Prime Minister did not say who he was referring to in terms of the idiots. But he praised the joint venture Samoa Airways plans to keep with Fiji Airways. The current arrangement between the two airlines will see Fiji provide connectivity with the United States on a code share basis. They will partner with Fiji Airways to Asia, Europe and beyond. The partnership, he said, was an excellent example of when regional cooperation works. “This type of arrangement is something we have been trying to do with other airlines for many years without any positive response. In fact services were removed from Samoa as these other carriers were asking us to pay millions in subsidies each year just to come through Samoa,” Tuilaepa said. “This is not lost on us and we will be looking again at all the multilateral agreements Samoa has entered into to reassess their usefulness to Samoa." “We have entered into these multilateral to our detriment. 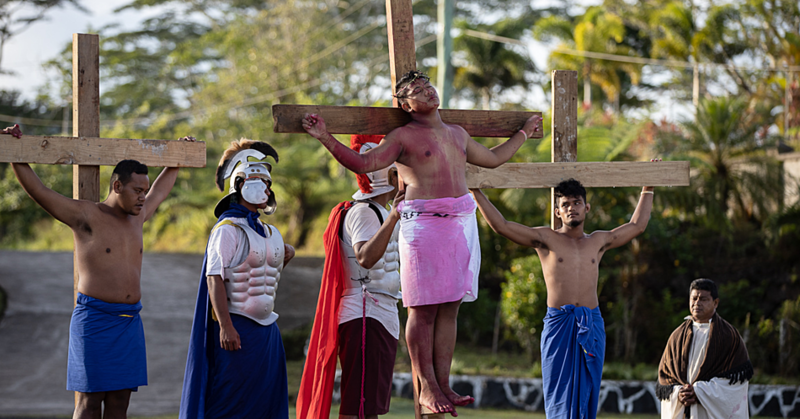 Today is a special occasion to celebrate and showcase what a small island like Samoa can do once we focus on what is important to us as a nation." The Prime Minister also extended the government’s hardline business approach to Samoa Airways and challenged the nascent airline to prove itself as a self-sustaining business. “The government has not given the airline any funds to start the airline as you must run it as a business,” he said. Tuilaepa also had a message for the tourism industry. “We as a country must embrace what is ours,” he said. “It is time that we stand up and it is time we support our own airline and support Samoa. We are at the tipping point and it’s a point that will ensure Samoa Airways grows as Samoa grows in all sectors." Samoa Airways will be dedicated to using all local products and staff was trained to provide a service with a touch of fa’asamoa, our own brand of hospitality. After the formalities, guests were invited to board the Samoa Airways Aircraft and take a tour of the cabin area and to meet the pilots and cabin staff. The flight attendants led the way and at the same time showcased their new uniforms. This morning at 7, Samoa Airways inaugural flight is scheduled for Auckland, New Zealand. Passengers on board will enter the record books as the first passengers of Samoa Airways.